Below, with the french cousins badly repainted ! Two differents lettering inside the body. Concerning the letters my photo is not good enough and I will post one later. 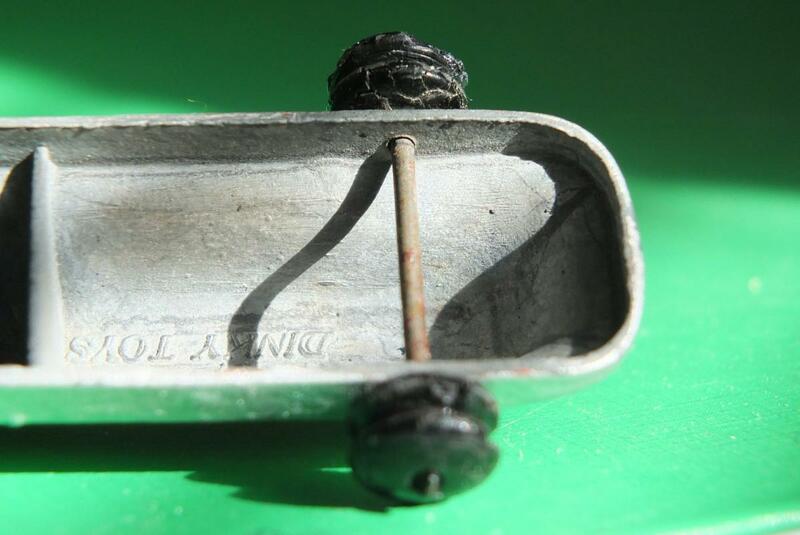 Yesterday I composed a post with photos of a Hotchkiss that had arrived in the post. I carefully selected photos but when I tried to upload I was repeatedly given an error message saying it was not possible to connect with the site. I kept trying but to no avail. Today I shall try again but without photos - for now anyway. The Hotchkiss had been advertised as having pre-war wheels on a post war casting but I had my doubts and paid a reasonable 'buy-it- now' price. The wheels are indeed pre-war and by way of proof are suffering from "fatigue" and have therefore grown. The axles too are the thin pre-war type. The body casting however, despite being described as post-war, has axle holes commensurate with the thin axles not the later thicker ones so I'm pretty sure that it is indeed pre-war! So, here goes. Let's see if this will upload. In case anyone was wondering, I did try to post the pictures immediately after the above post. Guess what? Oddly, I was able to post a comment on a post that Bruce had contributed but I was unable to add to this thread. To be honest, I'm not sure that this post will fly but here goes. These are the photos of the Hotchkiss with its thin axles and pre-war wheels. 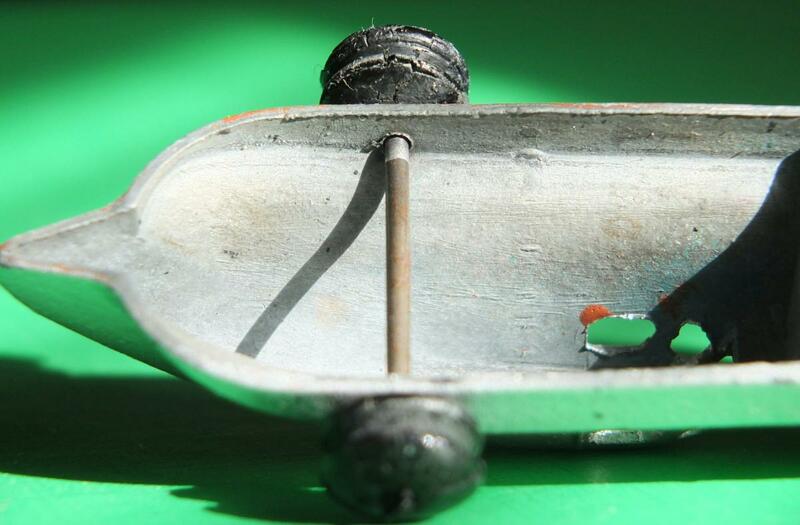 Do you agree that the holes for the axles are to small to be anything but pre-war too? I am pretty sure that the original colour was pale blue or turquoise. If you look carefully you can see the faint overspray around the inside of the windows. Unfortunately the exterior has been repainted in silver so it's lost its originality in that respect but I'm pleased to add it to my collection. No doubt this is a pre war Hotchkiss. It is worth to restore as it seems to me there is no fatigue in the body. Maybe it was original this color. I agree John. As you say, there's no fatigue in the casting and the (rather uninspired) all over silver repaint is nothing special. Your example is very attractive and I'm sure mine would originally have been very similar. I don't want to use a decal so I shall have to devise a stencil for a non-original number that will mark it out as a repaint. I shall be busy when my workshop is constructed. This should happen in Spring so next Autumn and Winter will be a happy time.